It’s both for beginners & for more advanced players looking for Fight Tricks at the end of the video. I worked for 1 month on this 47 min Video. Enjoy, feel free to ask any question, & Merry Christmas ! Thanks for the guide, a lot for me to digest . I'm a casual-ish returning player who primarily solo's world content and occasionally does fractals. I'd also be interested in SPVP and possibly WvW once I get a bit better at the class. I find the staff very clunky solo in PvE, so really only use it for Fractals, or occasionally for world bosses. But I really like the sword / dagger combo, which is what I spend most of my time using. I've got ascended weapons and I've got a stockpile of ascended mats for armour. I really like the idea of a hybrid dps build, and the use of Marshal's in your builds fits the ticket. However, I'm worried for T4 fractals (when I eventually get there) or if I was to ever raid, that I'll be investing in gear that is considered sub-optimal for those encounters. Would you recommend I just get exotic Marshal's and spend the ascended mats on Berserker armour for the meta staff weaver PvE build? Or could I get away with using Marshal's and sword / dagger in T4 fractals? I recommend splitting the video in 3 parts next time. People are less likely to click on a 47 min vid than 10-15 min one. I thing you're right. I will split in in 3 part : Sword, Staff, & Advanced Tips. Will upload later. Anyway I'm glad you like it, was a lot of work ! Coming in about one month : a Scepter/Focus Fresh Air Guide for Weaver, in PvP & WvW ! I'm so happy you are pay attention to Fresh Air, it's so fun to play, but defensives and offensives combos are needed, cuz glass canon is unforgivable ! NB: Ce sera en Français ou en Anglais ? Any comments on dagger weavers? Some people enjoy prolonged fights. I've played burst thieves and mesmers before, the "one-shot" builds can be funny but I feel it gets old to me really quick. It's because without healing power, ele will melt real fast before it can do any damage unless you're in a team in pve and using staff. Stacking healing is exponentially more powerful than stacking any sort of damage and it's basically a necessity for survival against any good player/boss or whatever. There are some spike builds that work, like the insta kill weaver build, but it's not a justifiable damage build outside of ganking. Our damage coefficients just aren't strong enough. On top of that, ele needs to bring the water trait line anyway in order to stay alive, and because you are already invested so heavily into one trait for basically every build you might as well build healing in order to compliment that. Great video. 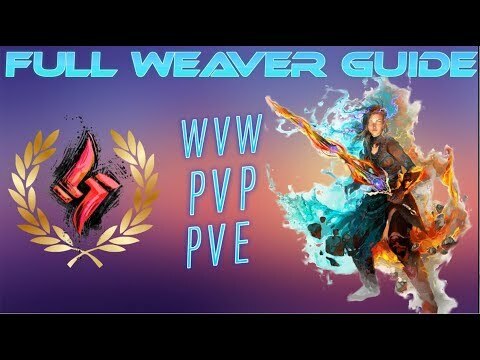 Of course skill explanation at the beginning is not for us that have over 1k PvP ele matches but the guide is great to explain weaver. Propably the best that is available now. What i enjoy is marshall and viper stats on ele. Durability rune for shure. Fantastic guide, absolutely fantastic. I actually logged in and made a post just for this, I don't even think I have ever posted here before in the years I have played. Fantastic guide. Do you have any plans for any other guides such as one for the tempest? I'm looking forward to hearing your post Feb. 6 update changes to your ele build! Especially with the riptide nerf. Your guide got me into pvp (with decent success). I've been looking at lots of profession guides on YouTube and I've gotta say, you have the most thorough and best explained guide out there. Thank you for that! Thank you! This is very helpful as a new person to GW2! I have such gratitude for people who are willing to work so much to help others! Just watched this in its entirety. I'm coming back to the game from a long break and this has been SO very informative. Thank you a thousand times for taking the time to do this. I subbed to your channel as well. You rock man, keep up the good work. Thanks a lot for your kind word, & welcome back to GW2 . The buff are massive to DPS : insane +50% DPS on few dual skill #3 on Sword. Overall : Its a small buff of weaver. No change at build. Has the build changed for WvW because of the nerf to Riptide's healing? I noticed you're running Invigorating Strikes in your latest WvW vid, so I wondered if that's a permanent change for the WvW build or if it was just something you were testing for that fight. In few weeks : release of a very specific S/D Weaver Guide for PvP/WvW, very detailed with lots of combo/tricks/rotations. Good video and very nice video editing Lasiurus. Release of the new Sword/Dagger Guide in mid april. Took a LOT of time haha. Thanks all for your support, the FULL WEAVER GUIDE success (40.000 view, 1K like), encourages me to make others guide. ENjoy, feel free to ask anything ! I can tell you the guide I would like "How not to die in HoT as a Weaver" :-) I love my weaver and I got a lot from your guide. Mostly its probably just me or my build, but the jungle... it hurts. never played Ele but after the guide i started one and i finished all 3 maps with weaver. 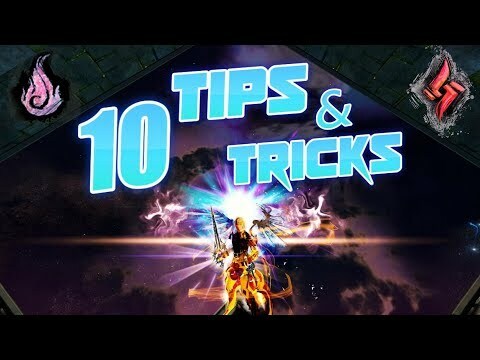 thank you for the guides it helped me a lot as noob ele . not perfect in WvW roaming still having some rotations/combo issues but getting better im runing same armor/trink/weps/ stats you provided. Merci bcoup et bon travaille. i seen the new video could you please update the build in build editor as you have made new changes. Incredibly good guide video. I just came back to the game and am completely new to Ele, so focus on finisher/field synergy is basically new ground within a class (spent 1700 hours on Warrior/Necro, one has very few fields and the other has/had very few finishers). The video has an excellent review of how traits, abilities, and combos work together for incredible benefit. Cello, using your staff build. Love everything about it. Dropping 12k+ meteors (thanks to the recent change to it) is always fun. More of a buff wvw imo increased spike dps and let's admit it, who stays in meteor for more than the first few hits? Now they're lucky to survive it. Also, in 15-30 squad gvg do you still suggest arcane brilliance over ether renewal. Getting hit with condi bombs in backline a lot and have been running ether mostly. Would love to see a positioning guide from you in field gvg if you ever have the time. Yes, Ether Renewal is the best versus condition & also a good choice ! I use often both, Arcane Brilliance is better for burst fast heal, but Ether is better versus Condition. I'm assuming your staff build is not for WvW, since you would get absolutely wrecked repeatedly if you tried to do anything other than range cast meteors and run away. Survival is nil, damage is high. You've no stability and your stun breaks have a huge cool down. You would be one-shot by any mirage or thief and out-ranged by a ranger who would probably kill you with one volley too. Also equally likely, this is why you don't post WvW videos using staff. All you need in wvw with staff are flash and twist of fate. You can survive almost anything and reposition easily, everything else is just a bonus, but not mandatory most of the time. 1/ My Staff Build is for WvW. Not for Roaming but for Zerg Fight. 2/ The damage comes from Meteor Shower but also Lava Font, Fire/Earth #3, Water #2. CC is also important. 3/ The survive is hard & is all about placement & positioning. Like I said, with that build you would get wrecked repeatedly. Cast meteor shower, run away and that includes using blink and twist of fate. If anyone focuses you, you are dead. Your biggest hope is to mist form from downed state and hope someone revives you or you get somewhere out of site. It's a one-hit wonder build, simple as that. No sustain and all damage means you just sit on the edges of the actual fight. The moment you get hit, you get downed and become a rally bot. It's a hindrance to the server you are on. Stick to sword weaver, or any build that provides more sustain. Whats wrong with this dude? Is he talking about something else? Wvw zergs? He isnt wrong though, you die if enemy sneezes in your direction, but at the same time you can wreck half of enemy zerg with one skill. As Celo said, it's all about positioning. His build is for zerg fights - sword weaver can't do anything in zergs, there's no way sword weaver has enough sustain to stay in frontline to do something meaningful (because of melee range). For staff eles it's all about positioning - sure, if you get focused you can go down easily, but if positioned well you can react early enough to get out and re-position. If for some reason you get hit and go down immediately, I would say it's definitely a positioning problem - you're supposed to be backline and backliners can't get downed that easily, especially when weavers have twist of fate, lightning flash and mist form. After long time of work, the new Weaver Guide for 2019 is nearly ready.